Headed off to County Meath and the most ancient part of Ireland’s Ancient East last week. Left Cork city about 9.15am and, having taken exit 9 at Naas, landed in Trim about three hours later, just in time for lunch. At a small café in Market Street, we ordered a Mezze plate. It wasn't the best - the meat (ham and possibly turkey - it was supposed to be spiced salami!) came from the cheapest packets but the rest was fine. In any event, we were hungry and scoffed the lot. Refreshed, we headed for the nearby 12th century castle. We had spotted the substantial ruin on the way in - well you couldn't help but see it and be impressed. 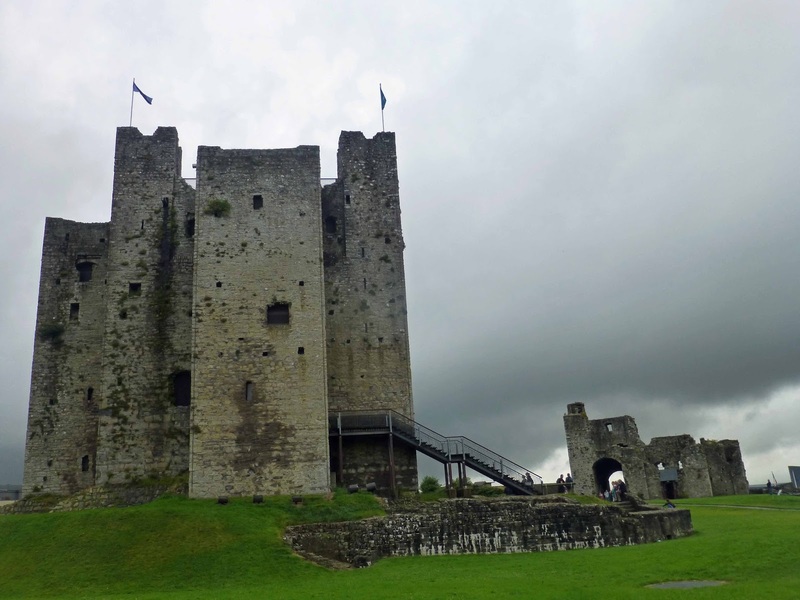 Trim Castle also impressed the producers of the film Braveheart as much of it was filmed here. 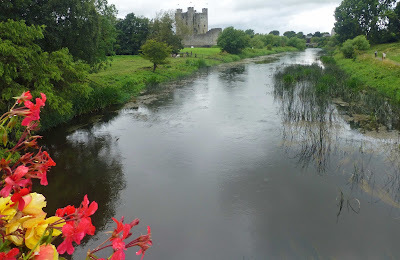 There is a riverside walk around the area of the castle and we enjoyed that too. 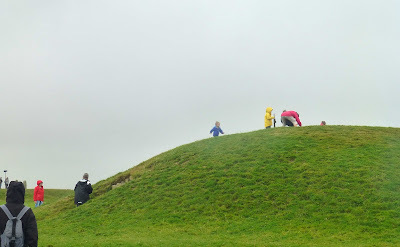 Next on the itinerary was the Hill of Tara. 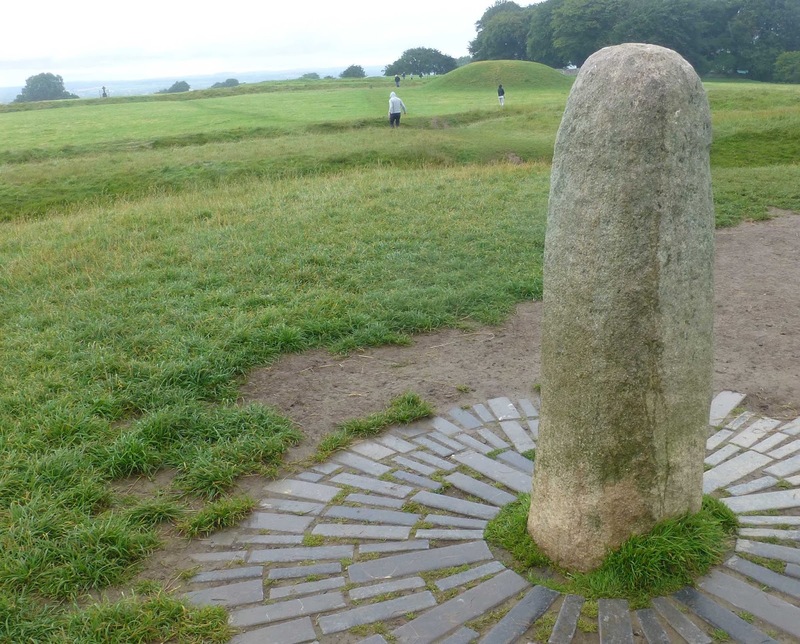 This contains a a number of ancient monuments and, according to tradition, was the seat of the High King of Ireland. 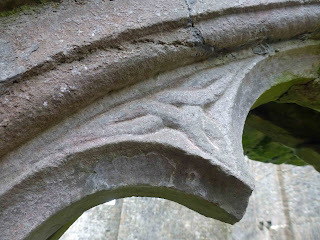 The kings were crowned by the Lia Fáil (Stone of Destiny) and you can see that here. We had a job finding the hill as the side road we were on didn't have any signposts for the famous hill. But with the help of the Sat-Nav and the signs for the Tara Golf Club we made it to the top. Despite the wet and windy conditions, we enjoyed the visit (there is an interpretive centre in an old church) and the 360 degrees views. The biggest building in view is Dalgan Park, home of The Irish Missionary Union Institute. 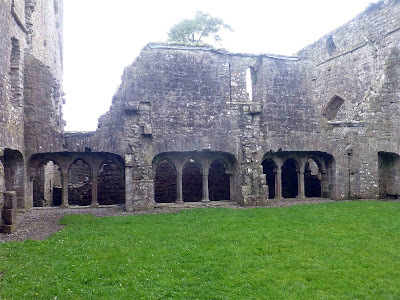 One more trip for the afternoon and that was to the nearby Bective Abbey, a Cistercian abbey on the River Boyne. The abbey founded in 1147 as a 'daughter house' of Mellifont Abbey (near Drogheda). The ruin, near a lovely old bridge, is in farmland and is under the care of the OPW. The cloisters are well worth seeing even if bits and pieces seem to have been chipped away. Again, this abbey was also used by the makers of Braveheart. After all that ancient stuff, it was time to check in at Teltown House. But, wait for it. Much more history here, including the fact that it was in this area that the ancient Tailteann games, the Olympics of the Irish, took place. Teltown House itself is a 17th century country house a few kilometres from Navan and centrally placed for the main attractions of Meath. It is furnished with many period pieces and decorated accordingly. But it is not stuck in the past. The WiFi here is top notch and you may enjoy a jacuzzi bath! 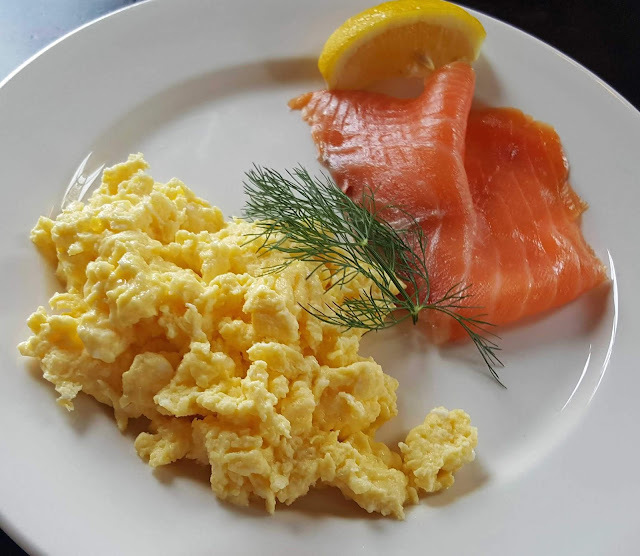 And you’ll find amazing hospitality here as both Renee and husband Bartie are so friendly and so helpful. And their dogs are very friendly too! After scrubbing up, we headed back to Trim and to a restaurant we had spotted earlier. It is called Franzini’s. 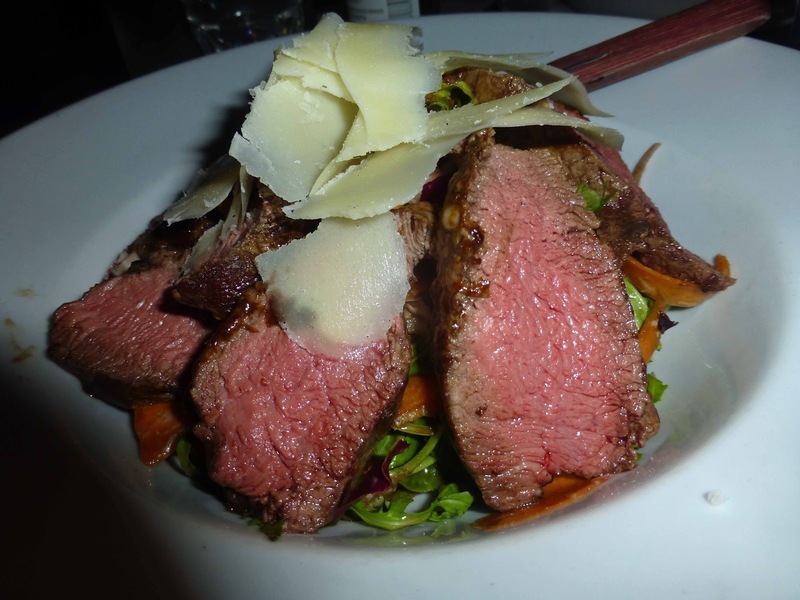 Not an out and out Italian as you might expect from the name but a spacious lively restaurant alongside the castle serving up a multi-cuisine menu. This is a good place for a night out. And they have a very large menu, covering many styles. Everything from fish pies to steak dishes; pizzas and pasta too; Tex-Mex and Asian, even Caribbean. So that means Noodles, Salads, Burgers, Ducks, Ribs, Fajitas - the list goes on. And yes, they do take-away as well. An international menu but they believe in keeping it local when it comes to produce. We enjoyed our meal here - service was excellent and very friendly - and headed back to Teltown and a good night's sleep ahead of a busy day with 5,000 year old Newgrange on the agenda - next post!